Reminder: Enrollment closes at midnight CST on November 30! Can you get inspired while studying art history? Have FUN? YES! AND I CAN’T WAIT TO SHOW YOU HOW! CREATE, WRITE, DISCUSS, THINK, and WONDER! Videos, projects, discussions, quizzes, and more! Bonus activities for extra learning! Why should art teachers take this course? In addition to adding depth to your art history knowledge, this course models different ways of teaching activities. While the course is designed for anyone who wants to learn more about art history, my goal is to bring in art teachers (of ALL grade levels) in the course to help supplement their art history knowledge and participate in engaging learning activities to transfer into your classroom! From videos to learning games, reflective writing to art discussions, this course is full of varied learning experiences. Quizzes in several formats will reinforce, rather than simply test, your learning. Discussions about the art will take place with your peers in a closed Facebook group, but you can also choose to print and use the course’s printable workbook pages to keep track of your learning. When you buy the course, you get lifetime access to it! The content will not expire, so you can go at your own pace and continue to refer back to the content throughout the years. 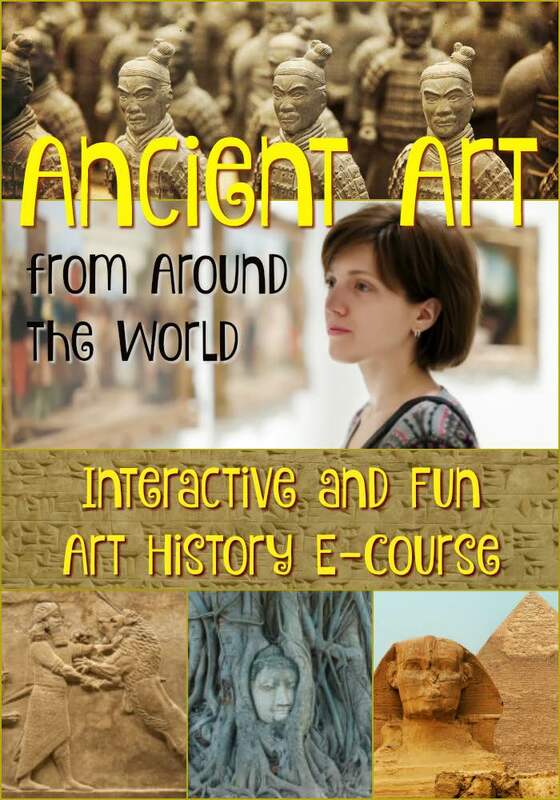 As a bonus, you will also receive lifetime access to the prehistoric art mini-course when you purchase this course. Want all future courses? Click below for an All Access Pass. Fill out the form below to make 2 payments of $75. Click here for the one-time payment option. Click here to buy the All Course Access Pass. Fill out the form below to enroll! If your school or district is paying for your membership, please choose this option. Please visit https://artclasscurator.com/po to request an invoice/estimate or to submit your PO. Please reach out if you have any questions!